I’ve begun pressing flowers again now that the weather has warmed and early wildflowers and foliage are emerging. 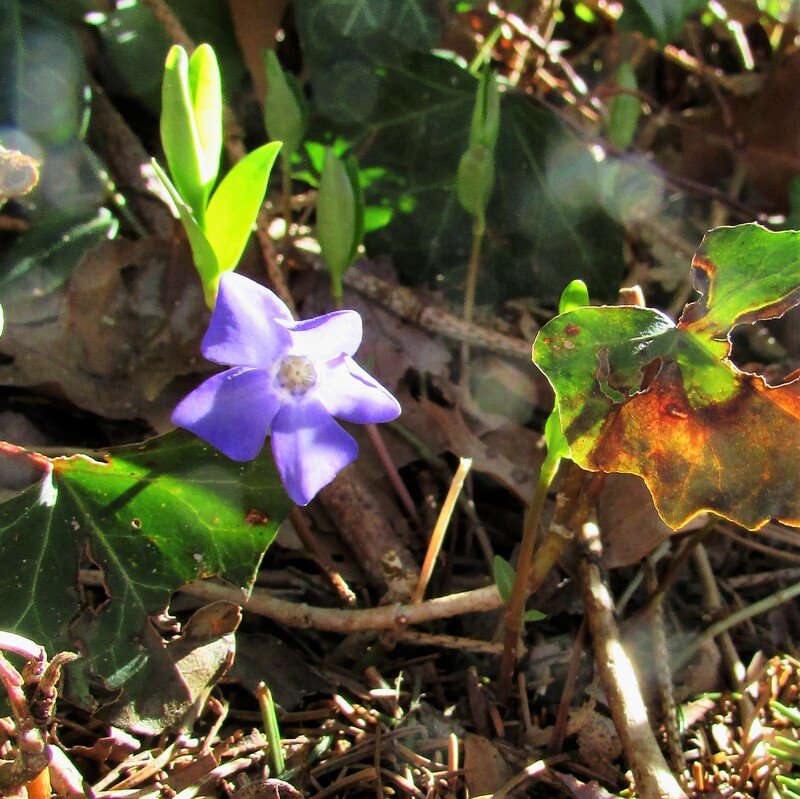 Periwinkle (Vinca minor) are one of the earliest flowers to blossom. An amazing groundcover, the ground vine can also become invasive if left unattended. 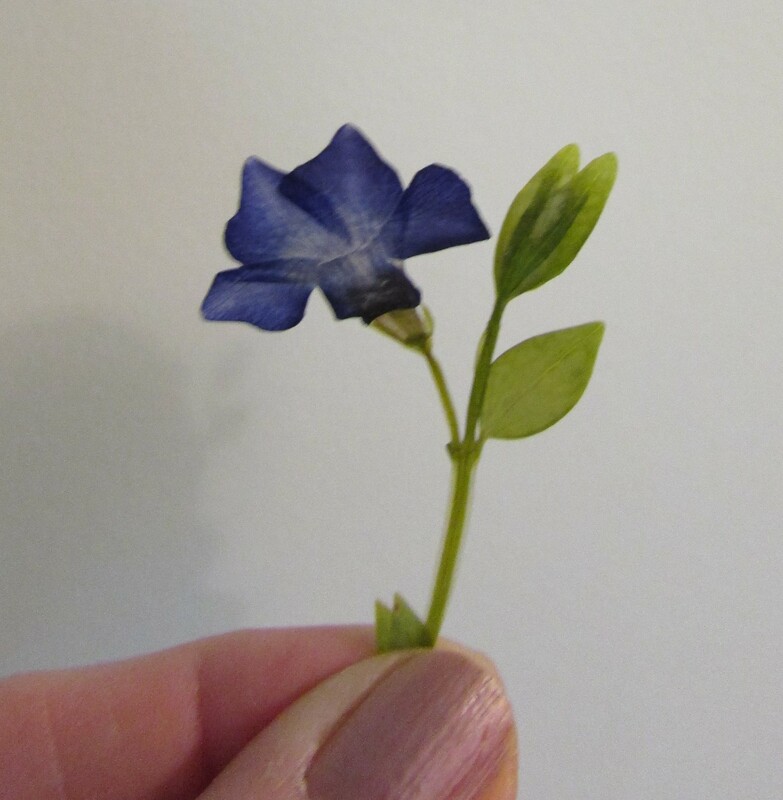 I pressed these periwinkle blossoms and stems only a few days before taking the photograph. Because I pressed in a hardback book, rubberbanded, and then microwaved, the flowers are ready to be used within a few days. The color of flower petals will usually darken a bit. The periwinkle blue of these flowers darkened to a Purple Mountain’s Majesty hue, a perfect choice for today’s Color Your World/120 Days of Crayola challenge. Always press more flowers than you think you will need to avoid disappointments, not every flower will press without blemish. Directions for pressing flowers/foliage in a microwave. 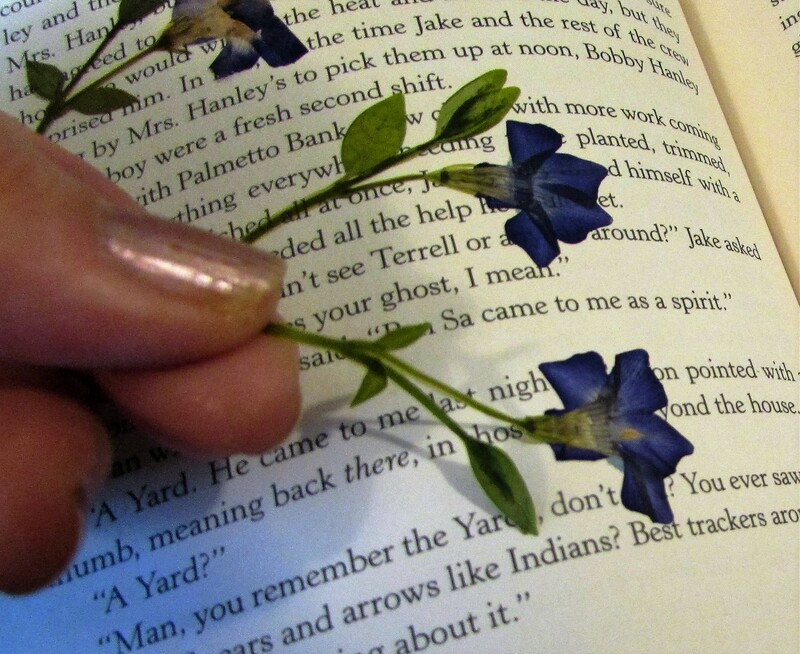 When the flowers are dry I remove them from the book I used for heating. If I leave them too long in the original book they could become impossible to remove. 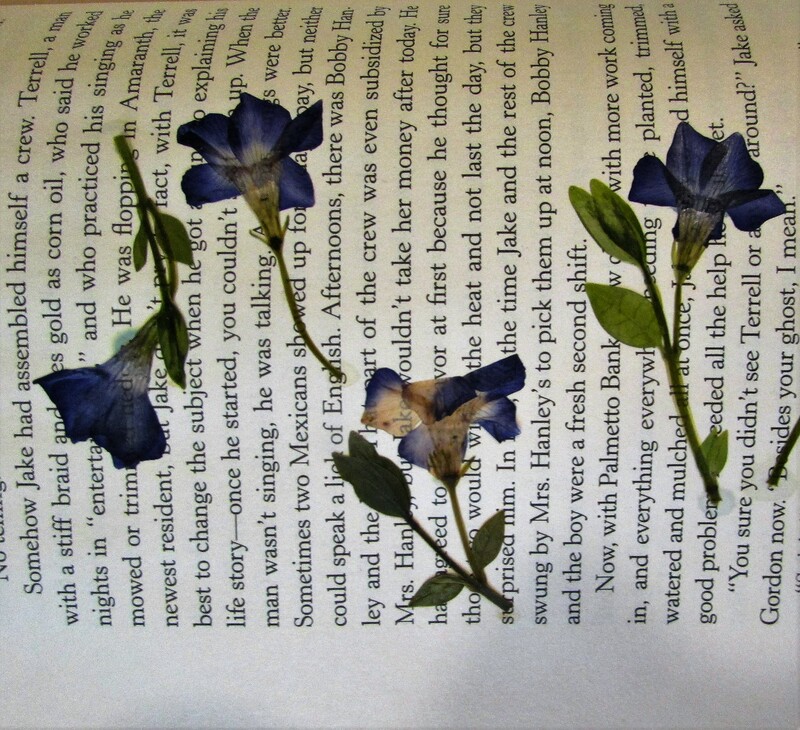 As you can see in the photograph, the stem of the periwinkle easily lifts, but the more delicate flower is sticking to the page. I first lift the page and roll it a bit to help loosen the petals. 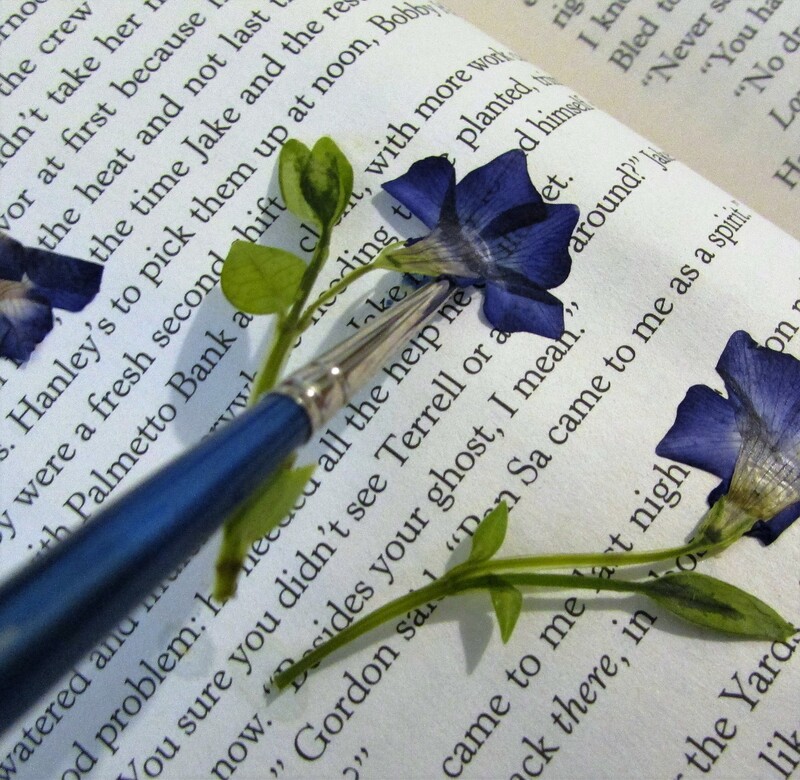 If rolling the page does not totally release the flowers, use a soft bristled paintbrush and gently tease the edges of the petals away from the page. A pressed flower will stand on its own if it is dry enough to use in projects. Good luck. It takes some experimenting to find the flowers that do well with this method and those that brown right away. I have good luck with it. I can now press some flowers that never worked in the past. Let me know how it works for you. A little postscript. This year I had an old book to use, but it had gold leafing on the spine. I cut away that part and didn’t have any problem using the rest of the book in the microwave. ….lovely. My recollection was my mother calling this flower/vine/plant ‘creeping myrtle’ and she’d have us doing up May baskets (a custom from her part of Canada) and putting them on neighbours’ doorsteps on May Day morning. Our having moved to New York meant our neighbours thought we were nuts. Anyway, the Myrtle was accompanied with Forsythia and violets and Mock Orange. Thanks for the memories! You’re welcome. Yes, I’ve also heard vinca/perwinkle called myrtle. I once had a sweet friend put a May Basket on my door. What a nice surprise it was to answer the door and find no one there, but a basket of flowers hanging on the knob. Thank you also for reminding me of that lovely custom.